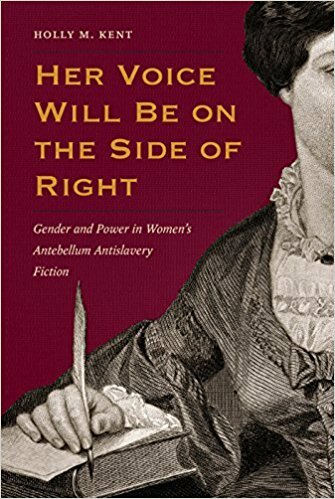 • Her Voice Will Be on the Side of Right: Gender and Power in Women's Antebellum Antislavery Fiction by Holly M. Kent (Kent St Univ Pr, 2017). 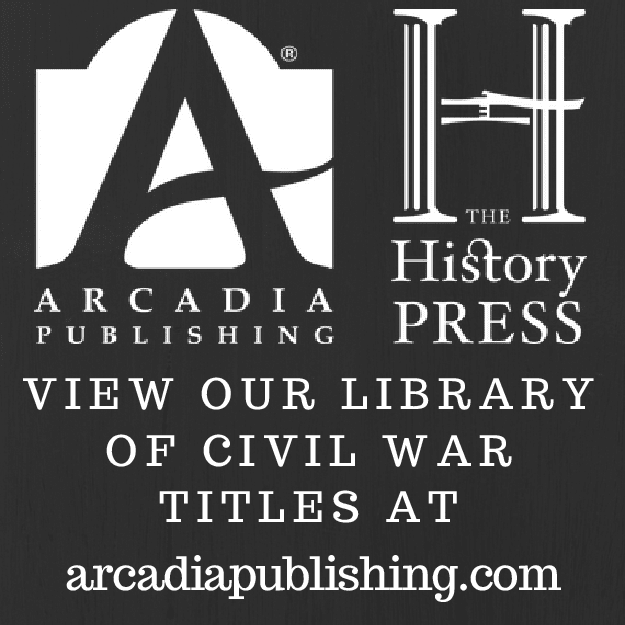 Among the antebellum period's various forums of public debate over slavery, the written page became perhaps the most socially acceptable way for women to contribute to the discussion. "Antislavery women wrote novels and stories designed to convince free Americans about slavery's evils, to discuss the future of abolitionism, and to debate the proper roles of free and enslaved women in the antislavery struggle." Women were thought by some to be particularly effective at fiction writing. "Believing that women were naturally more empathetic and imaginative than men, writers and editors hoped that powerfully told stories about enslaved people's sufferings would be invaluable in converting free female readers to abolitionism." In her book Her Voice Will Be on the Side of Right: Gender and Power in Women's Antebellum Antislavery Fiction, author Holly Kent "analyzes the literary works produced by antislavery women writers during the antebellum era, considers the complex ways that female authors crafted their arguments against slavery and reflected on the best ways for women to participate in antislavery activism." Along the way, Kent shines new light on the works of many lesser-known writers. More from the description: "Female antislavery authors consistently expressed a belief in women's innate moral superiority to men." Gasp! "While male characters in women's fiction doubted the validity of abolitionism (at best) and actively upheld the slave system (at worst), female characters invariably recognized slavery's immorality and did all in their power to undermine the institution. 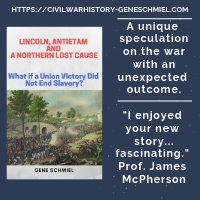 Certain of women's moral clarity on the "slave question," female antislavery authors nonetheless struggled to define how women could best put their antislavery ideals into action. When their efforts to morally influence men failed, how could women translate their abolitionist values into activism that was effective but did not violate nineteenth-century ideals of "respectable" femininity?" 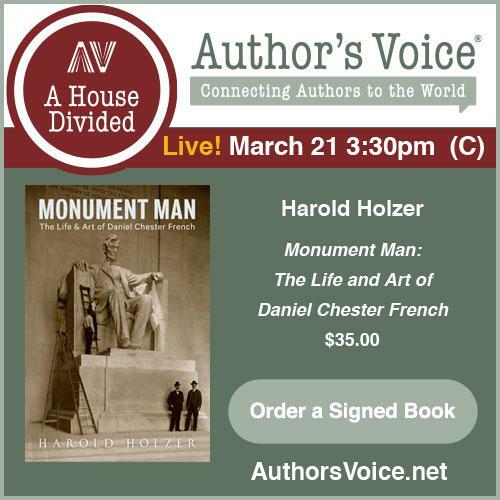 Her Voice Will Be on the Side of Right "brings the ideas, perspectives, and writings of a wide range of female antislavery authors back into our understandings of debates about gender, race, and slavery during this crucial era in U.S. history."